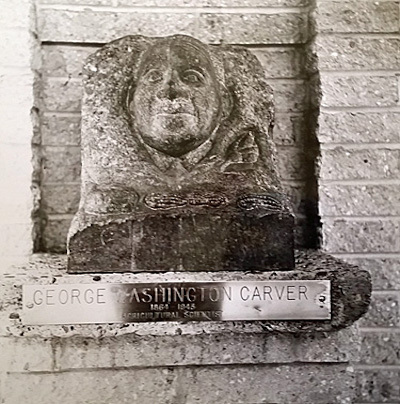 They were carved as a public reminder of the contributions of African Americans to the history of the United States. 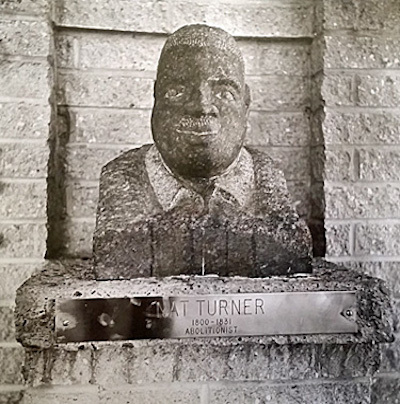 The busts of six famous men were enshrined in what civil rights leader Reverend Leon Sullivan called the Rotunda of Achievement at the country’s first African-American-owned shopping center, Progress Plaza. The founding of the center at 1501 N. Broad Street was a momentous occasion. More than 10,000 people jammed into the expansive parking lot on the 4.5-acre site in North Philadelphia during dedication ceremonies on October 27, 1968. Progress Plaza had 16 stores ranging from a supermarket to a bank to an insurance company to a men’s haberdashery. All were either owned by African Americans or operated by them. There was also an office for training Black men and women for administrative and office positions. The shopping center officially opened one month later on November 19. It was partly funded through Sullivan and Mount Zion Baptist Church’s “10-36” program in which members paid $10 a month for 36 months. The rest of the funds came from other sources in the community. Next to the A&P supermarket was Progress Plaza’s rotunda, an open-air stone structure with raised platforms for each of the sculptures. Anita Chappell, who passed away in January 2019, was the corporate secretary of Progress Investment Associates, the firm that built the center, for 56 years. She said in a 2016 interview that the rotunda was low enough for people to see over the walls. The busts were stationed around the interior of the space, which had entrances for people to walk into it from multiple points. Newspaper accounts from Progress Plaza’s opening day gave scant attention to the rotunda and the busts of those historical figures. It is unclear which busts had been installed at that point. When the rotunda was officially dedicated in October 1969 all six busts were mounted in place. A photo shows the artist and sculptor of the work, James W. Washington Jr., on hand for the dedication. Sullivan commissioned Washington, a Seattle artist, to create busts of the six men: Frederick Douglass, the former slave who became an abolitionist and anti-slavery orator; Benjamin Banneker, the scientist who assisted in the layout of the city of Washington, DC; Crispus Attucks, the first person killed in the American Revolution; Nat Turner, the enslaved African who led an uprising in Virginia against slavery; foremost civil rights leader Dr. Martin Luther King Jr.; and George Washington Carver, the scientist who taught farmers about crop rotation to protect the soil and developed many products from the then lowly peanut. “When they were ready to do the plaza, they wanted some art work because it was a City requirement, and most any building you see around the city of Philadelphia has a piece of art connected with it in some way,” said Chappell. Since 1959, the City has required developers to commission public art for any new construction on land acquired from the Philadelphia Redevelopment Authority. Sullivan learned of Washington a few years earlier when the Reverend Samuel McKinney of Mount Zion Baptist Church in Seattle asked him to open a branch of his Opportunities Industrialization Center (OIC) in the Emerald City. Sullivan had gained national attention for forming OIC in Philadelphia, which provided job training for African Americans. Both ministers met frequently at Baptist conventions and other gatherings, said the Reverend Dr. LaVerne C. Hall, director of the Dr. James and Janie Washington Foundation. She explained that Sullivan sent Ellsworth Hall, a Philadelphia math teacher who would later become her husband, to Seattle to help organize the Seattle branch of OIC. The first office was set up in the lower level of Mount Zion Baptist Church in 1966. 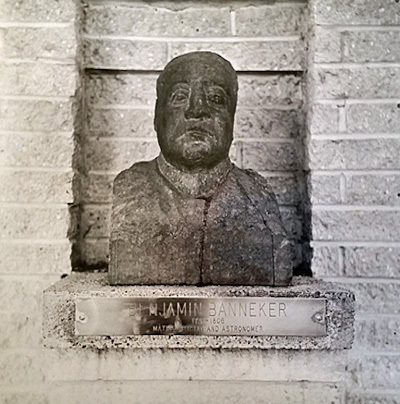 The sculptures are no longer available for public view. The busts were removed from the rotunda after they were vandalized, but the timeline of the art work’s departure is unclear. Platt first came to Philadelphia looking for the sculptures in 2007. At the time, no one seemed to know where they were, she recalled. About a year later she was told that they had been uncovered behind a stairwell during the renovation of the plaza. The busts are now sitting in a storage facility. The board of Progress Plaza, now named Sullivan Progress Plaza, is determining how to proceed with them. A rotating gallery of James W. Washington Jr.’s public artwork, “Rotunda of Achievement,” that was once installed at Progress Plaza. Images courtesy of the Historical Society of Pennsylvania. But Washington the artist and activist did. Born in Gloster, Mississippi in 1911, he was a self-taught artist who began drawing and painting in his teens. Washington bought crayons with money from shining shoes, gave pieces to his friends and instructed them to draw anything on the concrete sidewalk. From their marks, he created a man’s head or body or other form. He learned his craft through books and correspondence courses. In the 1930s, he taught art under the federal Works Progress Administration (WPA), a government program that put not only artists, but millions of people to work. 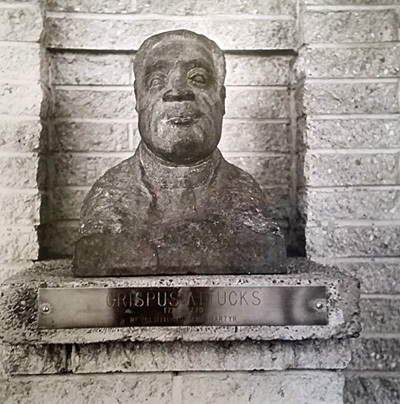 He organized the WPA’s first exhibit of Black artists at a YMCA in Vicksburg, Mississippi. The artist left the South and moved to the state of Washington in the 1940s hoping to find a better quality of life as a Black man. He did not. Like many other African American artists, he had a day job and painted on the side. He was a government worker, toughing it out against racism and discrimination as an electrician, house painter, sign painter, and shoe repairman. He became friends with African-American artists Jacob Lawrence and his wife Gwendolyn Knight. In 1951, Washington went to Mexico to meet the muralists Diego Rivera and David Alfaro Siqueiros. While on a trip to the pyramids, Washington picked up a stone that became the impetus for him becoming a sculptor. He realized that sculpting was what he was destined to do and turned to the art form full time in 1960. Many of his sculptures are of birds and other animals. In Seattle, he was active in civil rights and other political issues. He curated multi-racial exhibitions at Mount Zion Baptist Church, was an active member of the NAACP, walked the picket line, and met with companies about their discriminatory hiring practices. He also created paintings protesting issues like housing restrictions and discrimination. The Seattle home where Washington lived and painted is now an historic landmark and cultural center. The sculptures boosted the career of Washington, who was then primarily known as a painter, and resulted in other commissions. 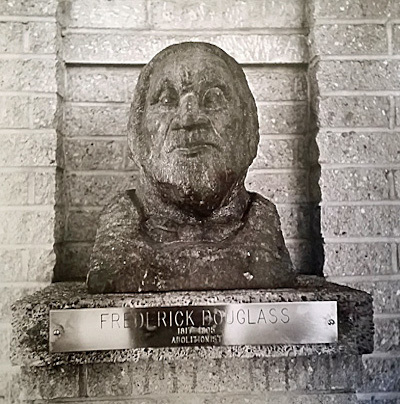 “He received many public commissions for stone sculptures that we still see today all over the Northwest,” Platt said. They can also be seen around Seattle, said Hall. Sherry L. Howard is a former news reporter and editor. She now writes about the interesting things she finds at auction and the stories behind them on her blog, Auction Finds. Thank you for this important article. The bust should remain in Philadelphia where they were meant — there is no need to take them to the National Portrait Gallery no matter how honored of a place that may be. It would be like taking the sphinx out of Egypt. Rev. Sullivan, may he rest in peace, meant them for here — and most properly North Philly. They could be a highlight of a celebration and exposition of African American art works in that community and neighborhood for the celebration of the Nation’s 250th Birthday. Growing up in North Philly I often frequented the Progress Plaza with an aunt back in the early 1970’s as a child. We all knew this was the brain child of Rev. Dr. Leon Sullivan as children in the community. I vaguely remember seeing the busts. I wish they were still there so I could go back and enjoy and appreciate them now that I am an adult. Wonderful history of Mr. James W. Washington whom I had never heard of until today. I agree with Stephen Perzan. They should remain in Philadelphia and if not in North Philly maybe the African American museum in Philadelphia.